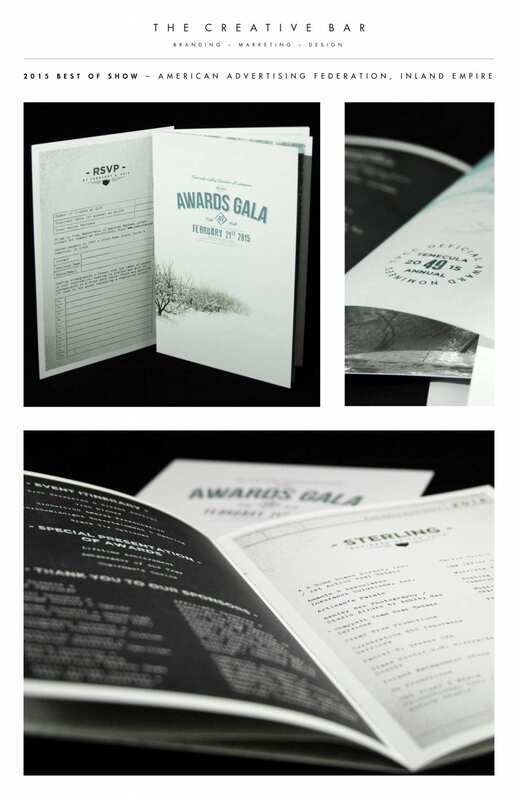 Murrieta, CA — Local Branding Agency, The Creative Bar, was honored with 8 awards this weekend at the American Advertising Awards in Riverside, CA. The black tie affair was held at the historic Mission Inn, and recognized veteran award-winner, The Creative Bar, for its work in 2014. 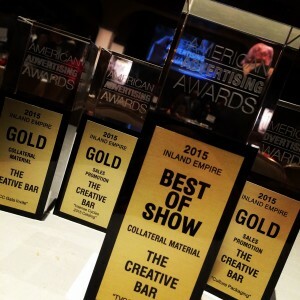 In total, The Creative Bar took home three gold, two silver, two bronze and The Best of Show awards—one for each of their submissions. The American Advertising Awards, formerly the ADDYs, is the advertising industry’s largest and most representative competition, attracting over 40,000 entries every year in local AAF Club (Ad Club) competitions. The mission of the American Advertising Awards competition is to recognize and reward the creative spirit of excellence in the art of advertising and showcase the best work of the region and country. For complete list of Awards won by The Creative Bar Click Here.